Being the most influential social media platform today, Facebook is increasingly becoming a consumer-oriented channel. 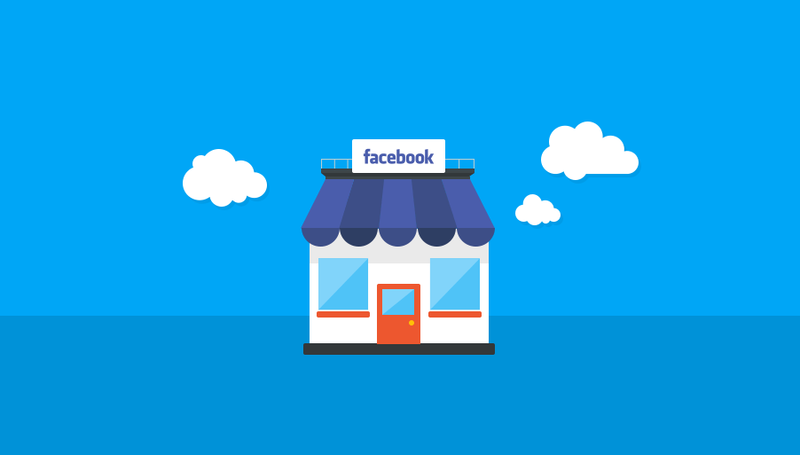 Business owners are sparing no thought and spending no time in using Facebook to boost their revenues. It is indeed a powerful medium to get visible and to reach out to as many people as one can think of. As a matter of fact, there are over 1.7 billion people in the world who are active users of Facebook and the counting is on. This enormous population base of Facebook users is nothing less than a low-hanging fruit for the businesses world over. Have you been trying to make an impactful presence of your business in Facebook as well? Do you want fast results to grow your revenue stream using Facebook page? Well, there are a lot of strategies and techniques with which you can use Facebook to your advantage so that you can give your business a widespread recognition. According to a research carried out by Parsely – an analytics firm, Facebook is driving more traffic to digital media websites than Google. It accounts for more than 50% of the total social referral traffic to websites. 64% of total social revenues are coming from Facebook. It also has the highest conversion rate for social media traffic. These statistics are enough to tell how Facebook is trending on the top. The most important prerequisite for businesses in order to succeed on social media is to connect and engage with their audience. The audience you are going to engage with on Facebook is really large with diverse interests, disparate needs and distinct orientations. So, keeping in mind of reaping such a huge potential customer base, you have to create blogs, posts, contents, infographics and events that engage these groups of people. In this regard, we would suggest you the 80/20 rule of successful engagement with your audience on social media (read Facebook). According to this rule, only 20% of your content should promote your brand, while 80% should be dedicated to your audience that really interests and engages them. For that, you can compile content from influencers with whose insights you fully agree, for example, Hashtag campaigns, giveaways, authority building posts, and tutorials that are linked to other social media channels like YouTube. Or you can encourage your audience participation and sharing content which is relevant to your niche. Another effective strategy of audience engagement is to build an online community around your business. You can offer a comfortable forum for users to interact with you and with each other. While connecting with your audience, you always need to be responsive and make it a habit to respond to their comments as quickly as possible. Tracking your activities on various social networks and managing different social media accounts is time and resource-intensive effort. To accomplish this, you either need to hire more employees who would be devoted to social media or you can use an effective social media management dashboard. Creating a right dashboard will help you in integrating popular social networking sites along with offering numerous features. It will enable you to perform everything from tracking data related to your activity to addressing real-time data to even carry out predictive analysis. You can start off by creating Facebook page widgets, which will help you in viewing overall metrics, clicks, check-ins, likes, views, posts, and so on. You can even extract specific occasions when your page was most popular or least popular. By looking at the impressions, comments, and shares, you can create posts in future for better degree of engagement. If you want to know where your likes are coming from, whether locally or globally; the Facebook country map widget will help you know where your fans are precisely located. In addition to that, a right social media dashboard can help you in tracking your competition, scheduling and auto-responding, brand management, finding new customers, and collaborating with co-workers. Pictures and videos are like lifeblood for Facebook. These are the most effective means of driving interaction on Facebook because people are more inclined to towards visual cues. The more pictures and videos you share, the more quality interactions people have with your photos and videos, and subsequently more word of mouth marketing will spread to your potential customers and their other facebook friends. This way of innovative communication intrigues more and more people, which ultimately allow them to know about your product or service without physically visiting your company. Video sharing is one of the most powerful e-commerce metrics to grow business. Interestingly, live videos have a high degree of engagement by nature and inspire others to share, thereby assisting in reaching to a new audience and bolstering likes. Facebook is increasingly becoming a hotbed for viral videos that are taking over the Facebook newsfeed. Brands are actively spreading their content in the form of video, which are garnering greater engagement (like, share, comment) from various communities. The Facebook leaderboard is the most apt forum for viral videos. On July 2017’s leaderboard, UK brands UNILAD and the LADbible continue to claim the top two positions respectively in terms of the most viewed videos. They were closely followed by Viral Thread and 5-Minute-Crafts. Adding and installing free apps on Facebook page is yet another powerful strategy to generate leads and promote something special regarding your product or service. The four default Facebook apps (also called tabs) are Photos, Events, Videos, and Likes. Any other apps you wish to add are created by a third-party developer. Of the four default apps, the photos tab represents the photos shared by you on your Facebook page, which you cannot change. However, you can customize the other three tabs as per your business needs and strategies. It will allow you to highlight applications of your choice, free or paid. It will certainly provide you and your users a better engaging experience. You yourself can design a custom tab cover photo to draw attention to the tab and make them mobile ready by adding a separate URL. Facebook is an influencing platform that makes it simple for you to create ads and target whatever audience you need. More and more businesses are investing a significant part of their budget on Facebook ads in order to attract traffic. However, not all the ad-clicks get converted into purchasing and the cost is often incurred by the seller that is you. So, here comes the targeting strategy to the right users. As a result, your target audience will not only like your page but will engage with your main advertising objective as well. Facebook is making a revolutionizing impact on how business owners are promoting their product and services. The sheer size of audience on a single platform is reflective of the availability of widespread interests and varied needs, which means there is something for everyone. This is what businesses are latching on and successfully finding their target audience. As a result, there is a palpable increase in their revenues.